Rachel Notley expects the federal government will approve the Trans-Mountain Pipeline by the end of May. 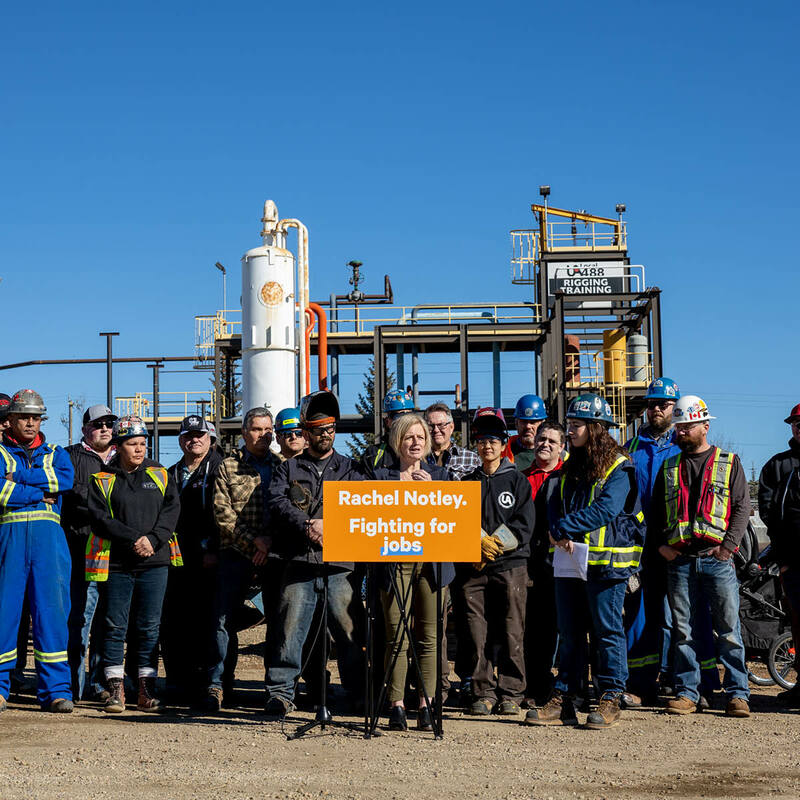 Notley announced the news at a stop in Edmonton on Monday, where she stood with welders, pipefitters and engineers and vowed to continue fighting Bill C-48 and for a more diversified economy. Under Notley's leadership, a growing majority of Canadians have come to support Trans-Mountain, including the majority of British Columbians. Notley has long argued that building a pipeline will support jobs and a strong economy across the country, supporting an Alberta energy industry produced under the highest environmental standards in the world. While successive federal governments have repeatedly failed to get a pipeline approved, they have repeatedly gotten bogged down in court challenges due to poor consultation and environmental assessments. A follow-up review was completed by the NEB last month, clearing the latest hurdle. Under Notley's pressure, the federal government purchased the Trans Mountain pipeline, bringing the project closer to completion than ever before. Tomorrow, Notley will also appear before the Senate Transportation Committee via video link on Bill C-48 – the oil tanker moratorium bill. While the pipeline approval coming soon, Notley has also implemented a medium-term strategy to get oil moving to the coast by rail cars beginning this summer. During this election campaign, she has announced a Made-in-Alberta energy upgrading plan to attract $75 billion in private investment and 70,000 jobs. While Notley is offering a practical plan to fight for Albertans, Jason Kenney is offering empty rhetoric and threats of taking fellow Canadians to court. Kenney has also come under fire for his plan to allow employers to enter into arrangements that would allow them to get around paying overtime wages. Instead of helping workers, Kenney's plan is to hand big corporations the biggest tax break in Alberta history. Kenney's plan will make rich people richer without any benefit to Albertans for years. He has also actively undermined efforts at economic diversification and getting energy products to market. Notley argued that Albertans will face a choice next week, between a plan to stick up for people, or a plan to stomp feet and throw a tantrum. “A tantrum won't build a pipeline," Notley said. "We don't have to hurt people. We can have each other's backs. That's what my plan does."